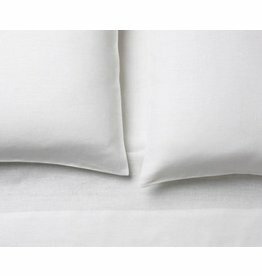 100% linen, extremely soft hand and knife edge finished detail. 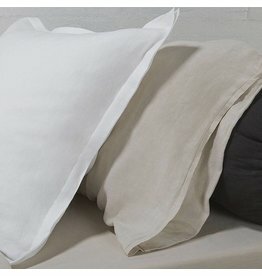 This collection of linen is the softest linen on the market. 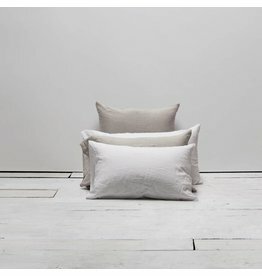 The collection pays homage to everything we love about linen that has been passed down from generation to generation. 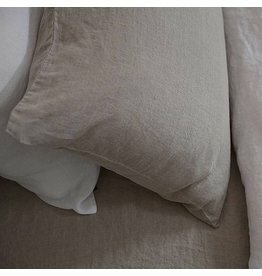 Vintage linen Dec pillow - off-white, 24" x 24"